The green fields of America are sweeter by far. 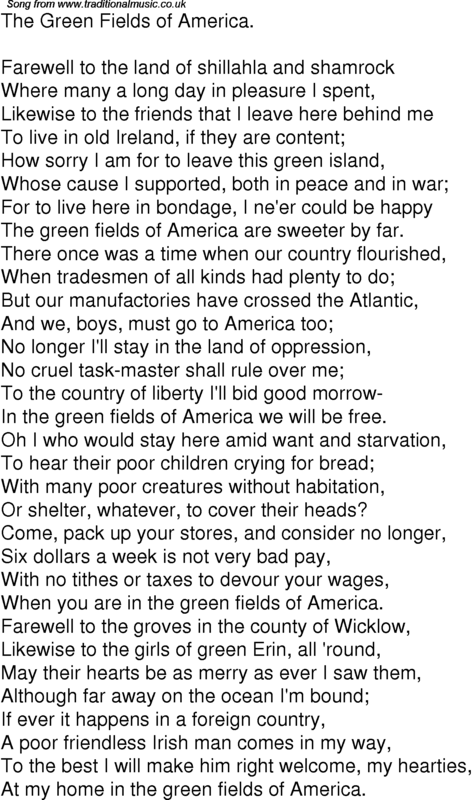 In the green fields of America we will be free. Or shelter, whatever, to cover their heads? When you are in the green fields of America. At my home in the green fields of America.